As was argued in previous chapters, engaging with testimonies mainly with the truth-value is not only ineffective in countering revisionist arguments, but can also overlook the richness of testimonies. Engaging with and reading testimonial narratives instead requires complex inter-subjective and discursive analysis, and one suggested way forward is to examine testimonial narratives as the process and the site of subject-formation. Testimony is not an autonomous or fixed entity that provides historical information that can be evaluated against historical truth. Testimony is, instead, a fluid inter-subjective formation and is itself the site of subject-formation. One key argument here is that the voices of ‘comfort women’ victim-survivors could not be heard until their subjectivities had been formed in accordance with dominant ideologies. 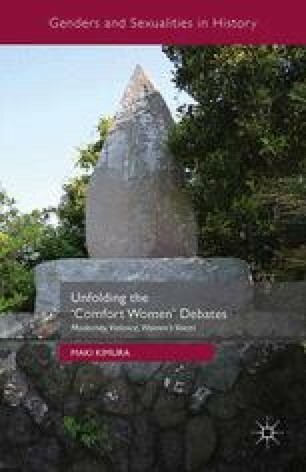 This draws on the insights of Spivak and Butler, and helps in understanding the otherwise puzzling fact that the voices of ‘comfort women’ victims only ‘emerged’ in the public domain in the 1990s. The voices were there, though they were not heard at that time (Takahashi and Iwasaki, 1997: 155), and the long presence of their voices was only acknowledged retrospectively after their suffering voices reached receptive ears.